Favourite books of the week | Damian Trasler's Secret Blog - Do Not Read! Since I raved about LJ Cohen’s space masterpiece last week (or thereabouts) it seems only fair that I mention two books that have been delighting me since then. A colleague at the library asked me if I’d read this book, and I had to admit I’d picked it up a couple of times but not committed to reading it. Finally convinced by the presence of Toffos on the cover, I took it home and read half of it that night, only putting it down because 1am is too late to be reading when you have a 6am start. The book is a collection of letters written by Nina to her sister Victoria. 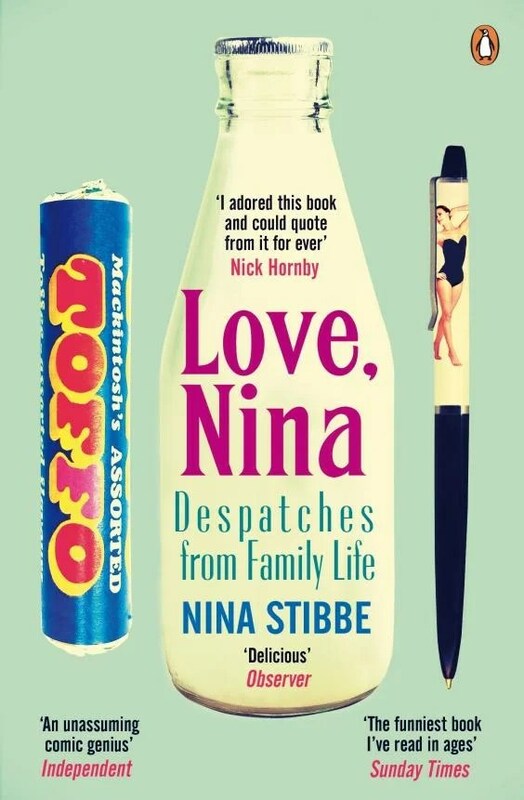 Nina is working as a nanny to a couple of boys in London in the 1980s, and the letters really concern themselves mostly with everyday life, which sounds dull, but the family live over the street from Alan Bennett (who drops in regularly for tea), a few doors along from Jonathan Miller (who lends them a saw to trim their Christmas tree) and round the corner from a famous novelist. The everyday life that Nina describes is crazy and strange, and yet completely believable. You only catch a glimpse of Margaret Thatcher once or twice, and there’s no mention of The Falklands War, or Northern Ireland, or unemployment (which are my abiding memories of the 80’s). It’s just the real (and sometimes surreal) life of a single Mum and her two boys, along with the young woman who helps them out with the little things, like cooking and playing, but not cleaning. And it’s a lot more funny and interesting than I made it sound. Sorry. Continuing the theme of real lives from a time I remember, I picked up Simon Pegg’s autobiography expecting the kind of detail-lite life story that I’ve often read in other celeb’s books. But this is not the case here. While the non-linear structure can make it tricky to parse the actual timeline of Simon’s life (he leaps about through time talking about his developing love of acting and comedy, the girls he’s loved and the major influences on his life and his work), this is a book worth reading. He uses his academic chops to dissect the appeal of Star Wars to the generation upon which it burst, and while I’ve read similar explanations in drier books, Pegg’s love of the movie and his unapologetic dislike of the prequels is backed up with solid reasoning. He’s famous for a quote about being a geek… Hang on, I’ll go find it…. This attitude comes through strongly in the book – Simon has discovered things he loves, and he doesn’t see why they should be treated with any less reverence than sports fanaticism, or classical theatre. Another thing worth mentioning is his theory of microcosmic accretion (although that’s my term for it). He’s looking at the reason he became part of a group that went on to such success – Edgar Wright, David Walliams, Jessica Hynes and many others. His theory is that similar interests and life views filter people towards one another, which I guess only works if you embrace those loves and are willing to stand up for them. He’s discovered that both he and Edgar Wright were in the same movie theatre for the premiere of “Akira” in the UK when they were in their teens, though they didn’t meet and begin collaborating until years later. He and the woman who ultimately became his wife had many friends in common and had even been in the same locations a couple of times before actually meeting. We (outsiders) often look at groups that change their chosen field and remark how strange it is that so many people of a similar mind should emerge at the same time – Monty Python, or George Lucas, Spielberg and Coppola. Pegg’s theory is that this is not Fate, but the inevitable consequence of admitting the things you love, and giving full rein to your enthusiasms. I’m in awe of the fact that he’s met so many of his childhood idols – Leonard Nimoy, Steven Spielberg, George Lucas, Carrie Fisher, Gillian Anderson, JJ Abrams. It seems the only one he missed out on was Lee Majors. There may be an argument that fortune plays a part in his success, but if so, it’s a very minor one. Simon identified his loves early on, and worked hard to achieve his success. Stand up is no easy route to take, and along the way he’s made sure he kept his friends around him and makes no secret of his admiration for the talents of others. 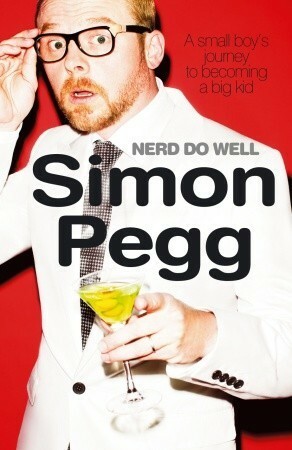 This entry was posted in Book reading, Uncategorized, Writing and tagged Love Nina, Simon Pegg, Star Trek. Bookmark the permalink.